Your astrological chart is your soul’s blueprint. Understanding your birth chart and gaining deeper awareness of your soul’s choices for this lifetime can help you create a richer life and add depth and new meaning to your relationships. It can also show you how to reconnect with joy and live your life more consciously on both spiritual and material levels. Julie's unique ability to explain your astrology in practical, understandable terms is focused on birth chart interpretations, monthly/yearly forecasts and compatibility (business-friendship-love-family). Julie offers a variety of readings that range between $150 and $250. Please call for information or an appointment. MC/Visa accepted. Julie offers readings in person in Taos, New Mexico at Bequi Batik and El Monte Sagrado and by phone or Skype. 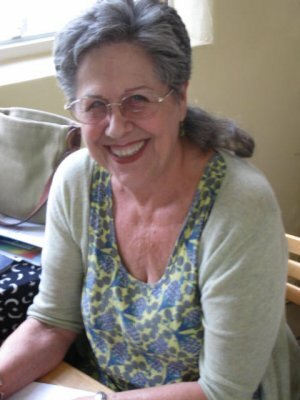 Julie Kelly began a serious study of astrology in 1961 and studied for 17 years with Dane Rudhyar, Zip Dobbins Joanne Wickenberg, and many others. Julie moved to Maui in 1977 and began doing astrological readings professionally as well as organizing and working in psychic fairs and conventions. Julie opened her office, Wizards Wharf, in Lahaina, Maui, Hawaii in 1980, teaching astrology and tarot workshops and writing a column for the L.A. Weekly in the mid eighties.